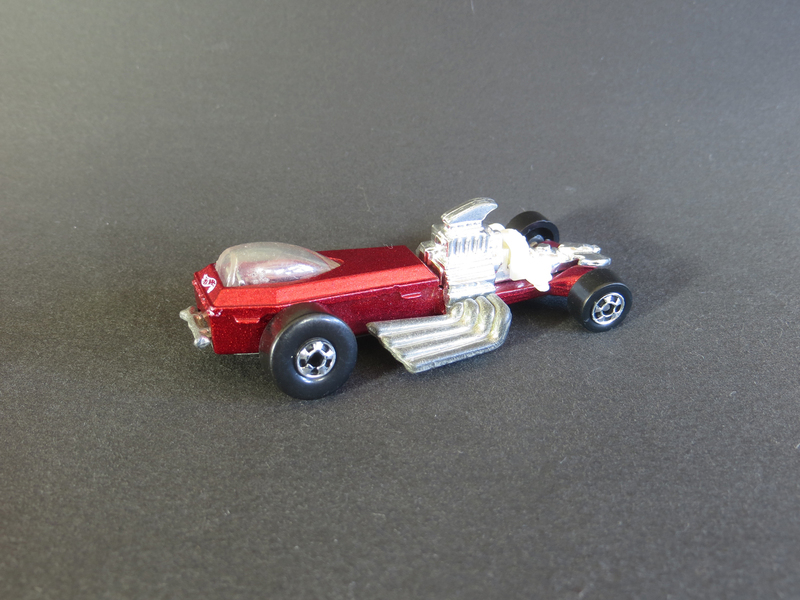 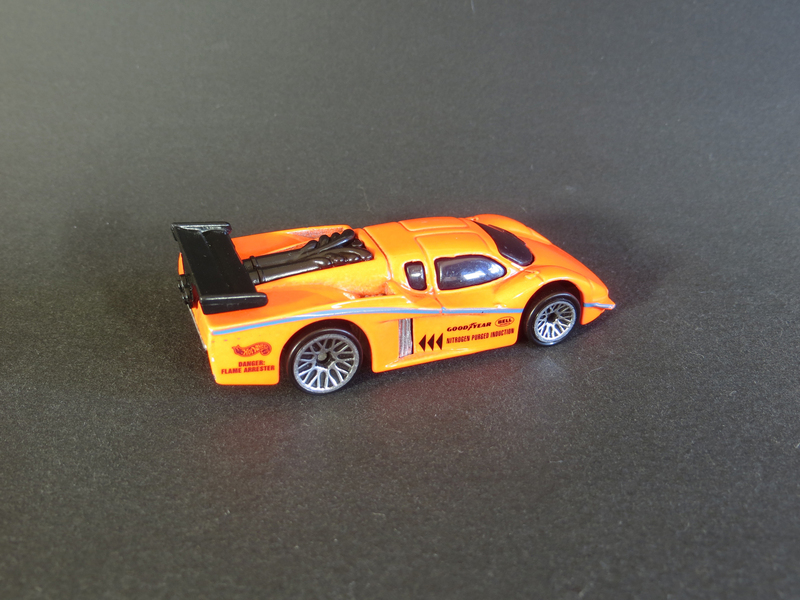 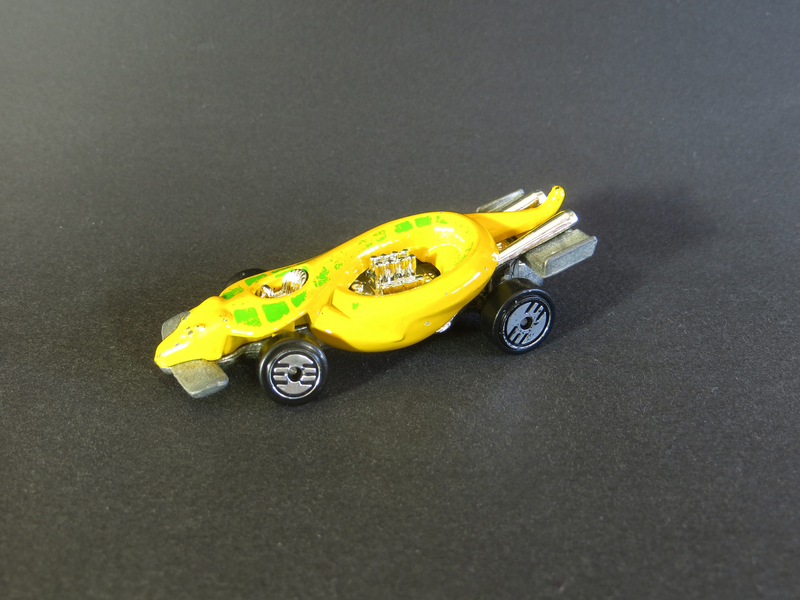 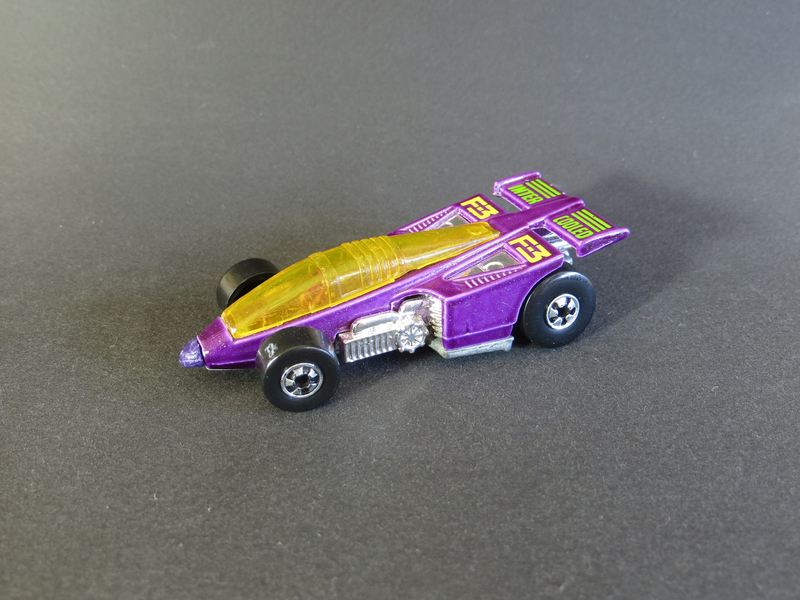 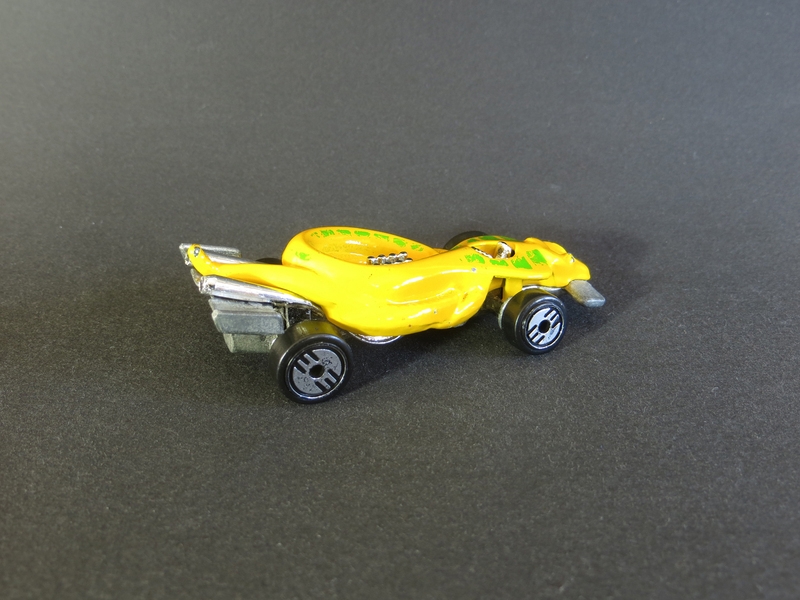 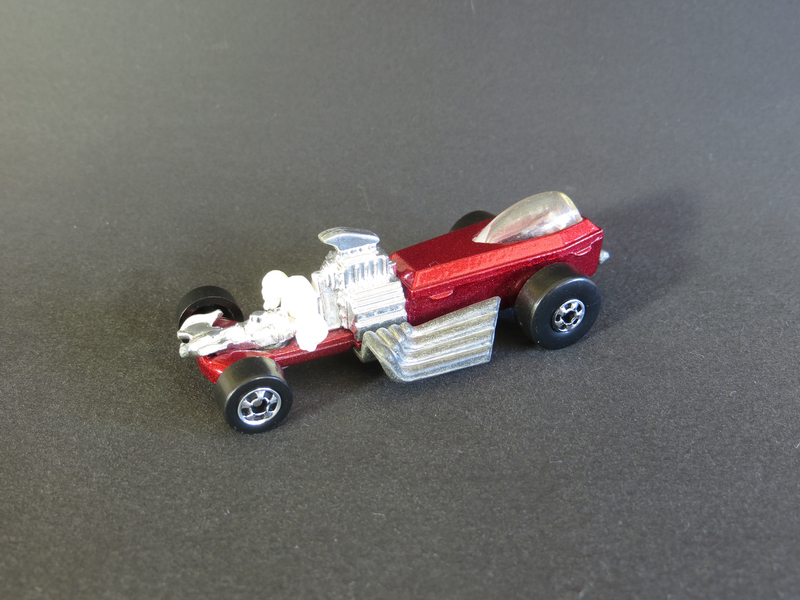 This Hot Wheels Aeroflash, which I got from The Dealer, is from the 1994 Color FX series. 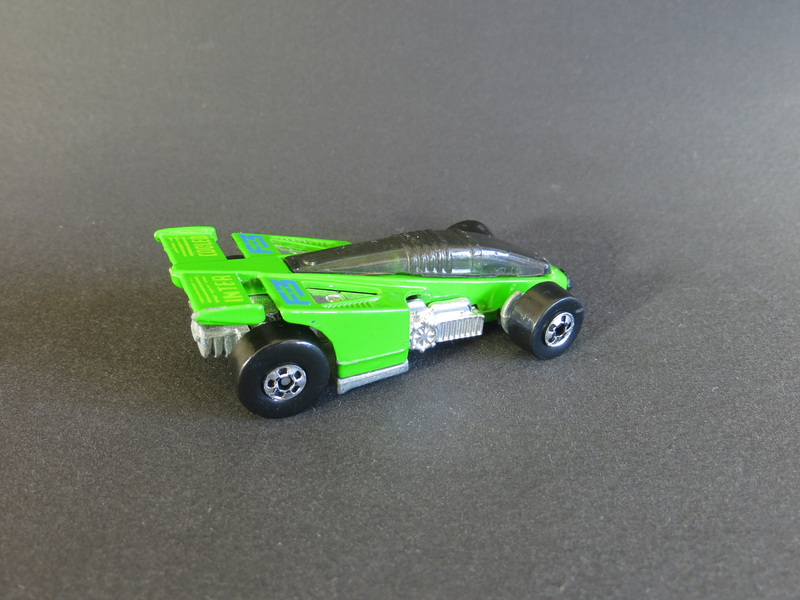 It would have been found with the Baja Bug in the Show Cars 2-Pack. The color-changing technology in these cars seems to be much-improved over their 80’s counterparts, as this one changes quickly from yellow (warm) to green (cold) and back again. 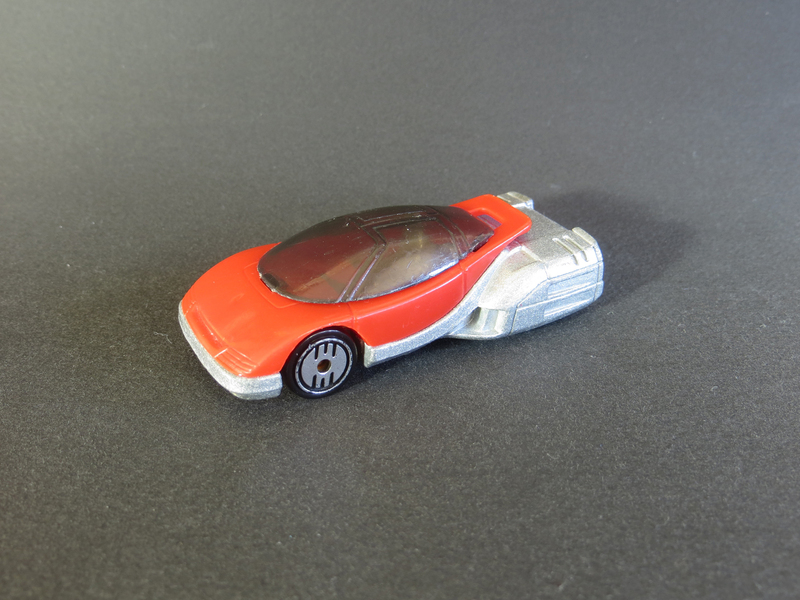 This car has a plastic body, as does my Color FX Command Tank (as opposed to the Color Racers which had metal bodies coated with a thick, glossy paint), so that might have something to do with it. 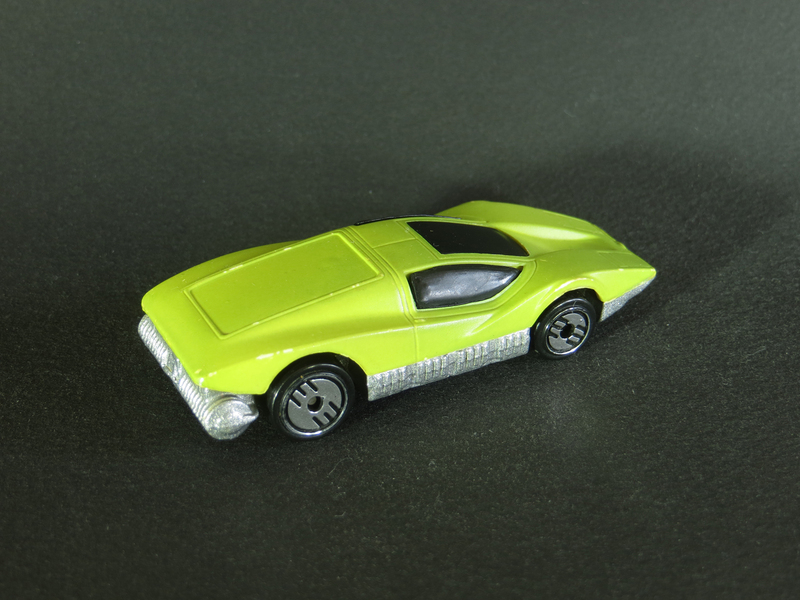 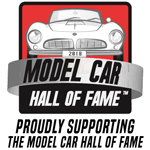 This casting is an electric vehicle designed by Larry Wood and first released in 1975 as Large Charge. The name was changed in 1985 to Silver Bullet and again in 1992 to Aeroflash. 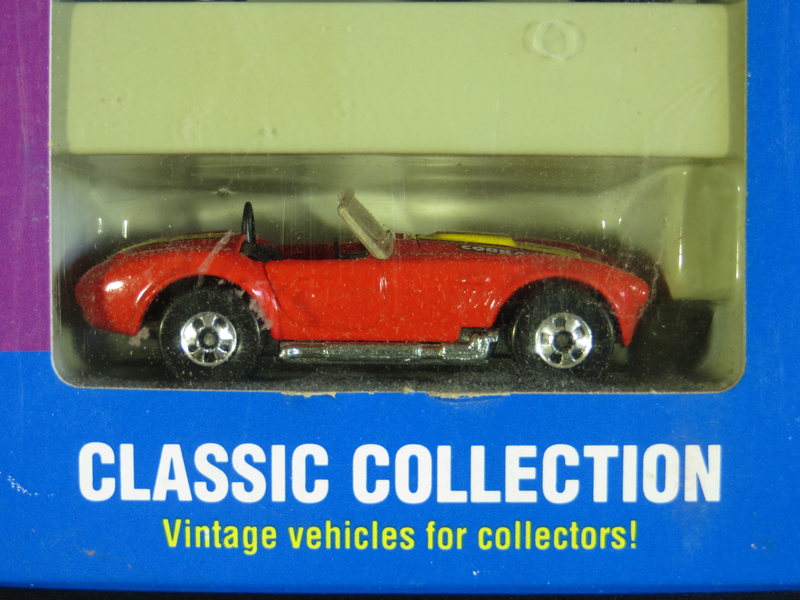 The ’65 Mustang Convertible was first released in 1984. 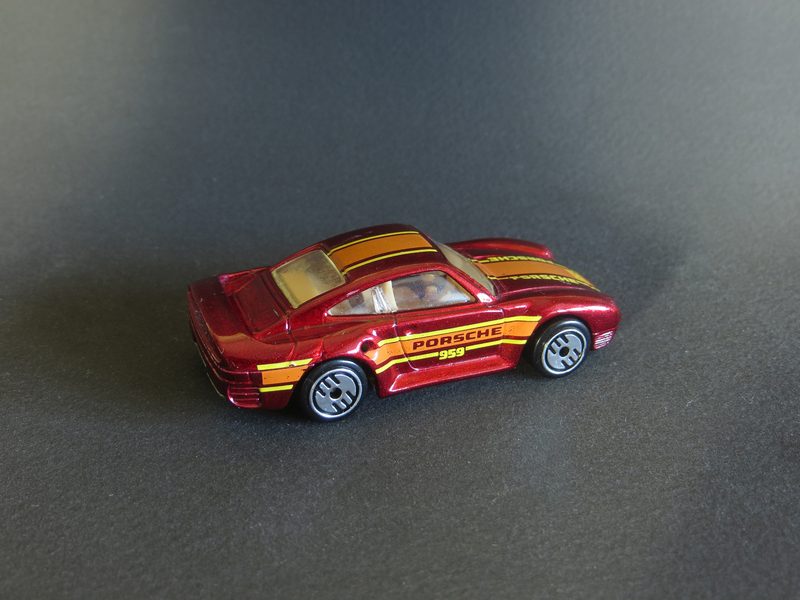 Here’s a link to my eBay ’65 Mustang, which includes more information about this popular casting. 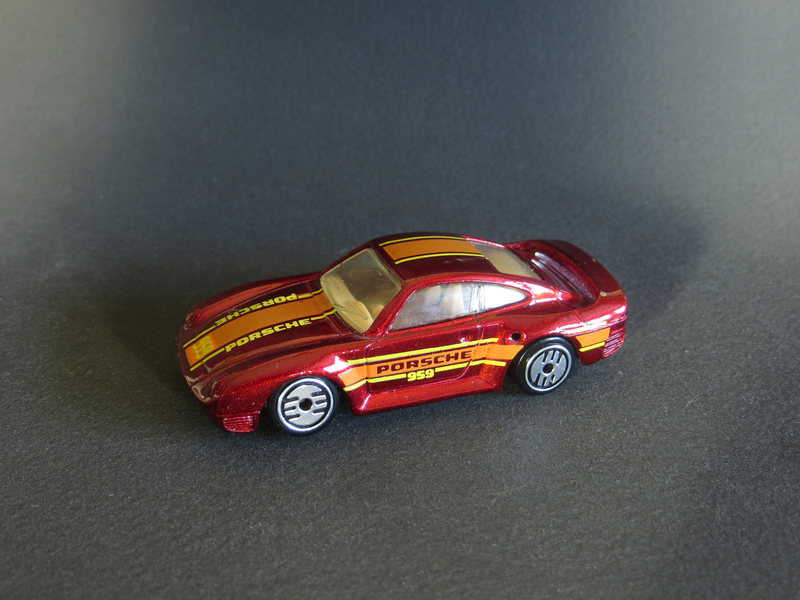 This is the first Mercedes 540K that I’ve added to my collection. 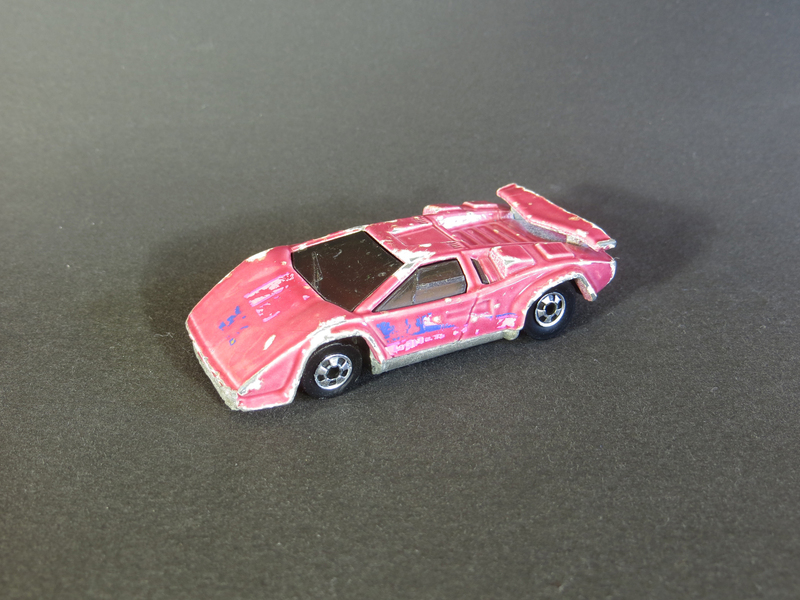 The casting first appeared in 1982 and has seen about 22 variations up until it was included in the 1999 Final Run series. 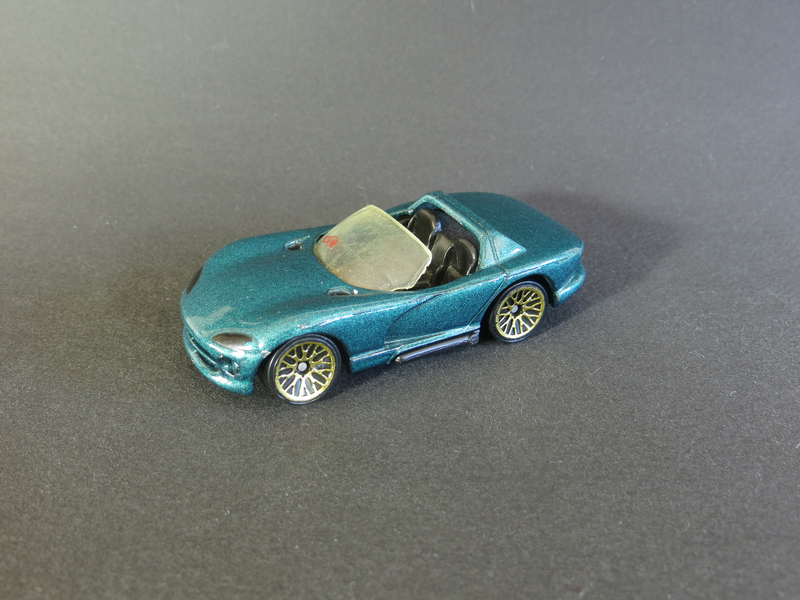 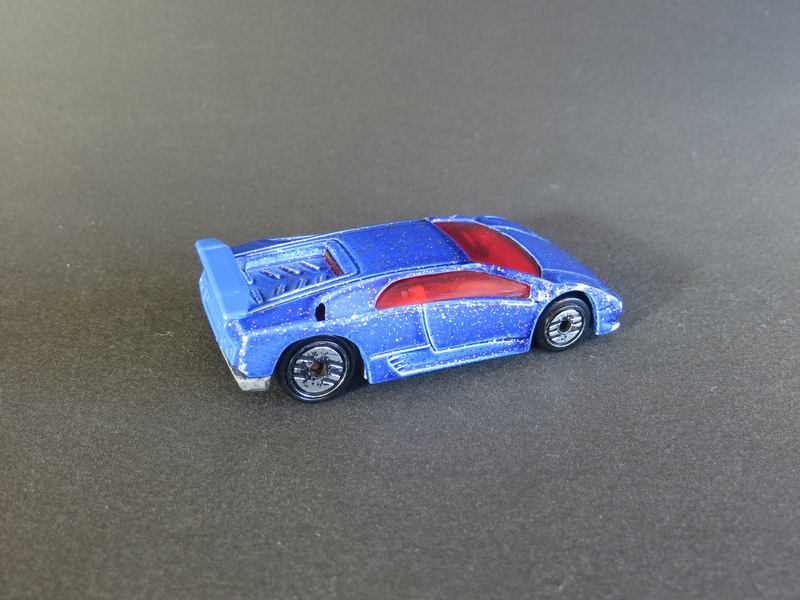 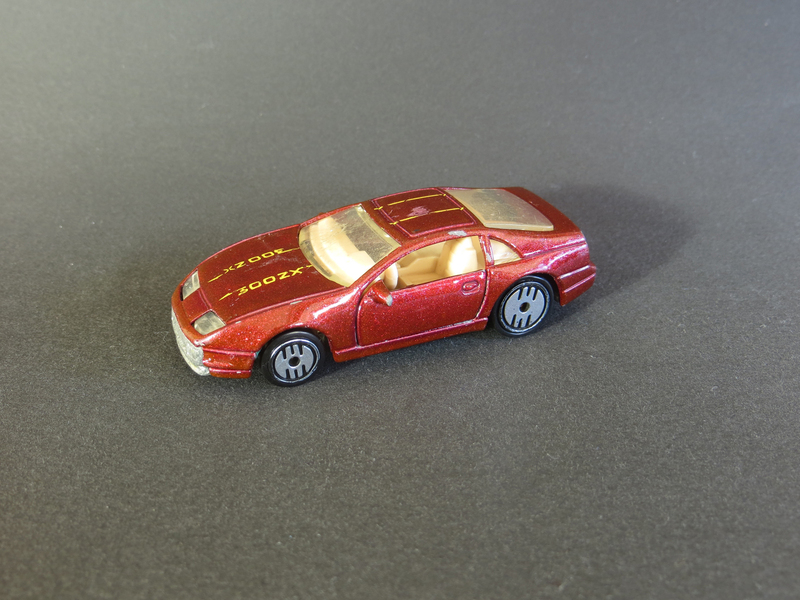 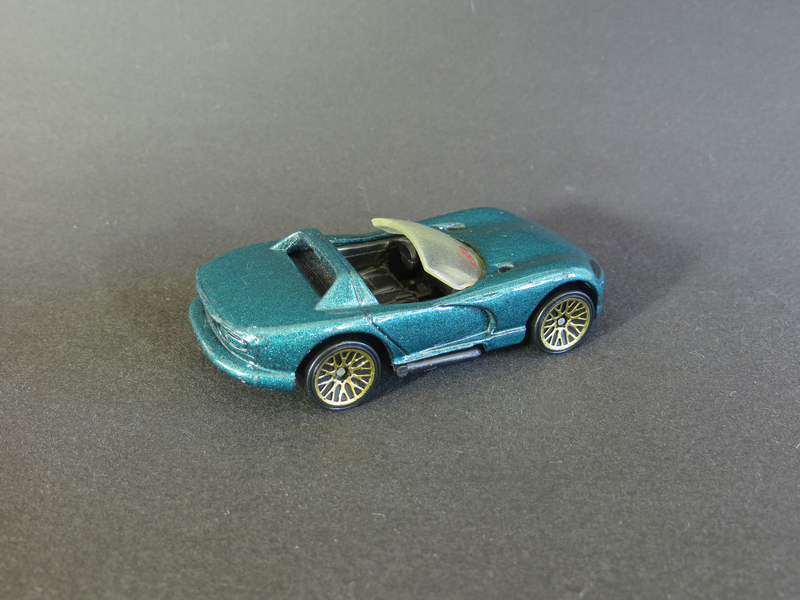 This blue with red glitter version was also used in the 1995 Hot Wheels series. 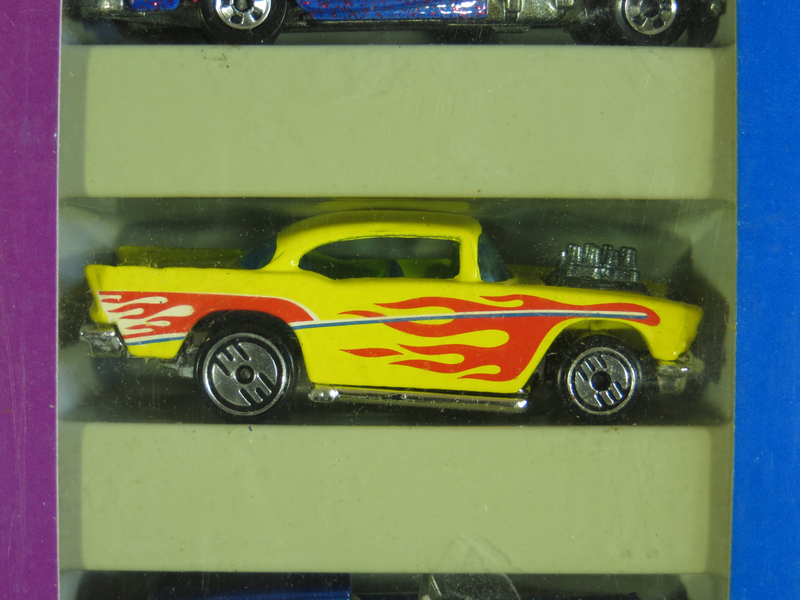 The Hot Wheels ’57 Chevy goes all the way back to 1977 and has come out in dozens of variations since then. 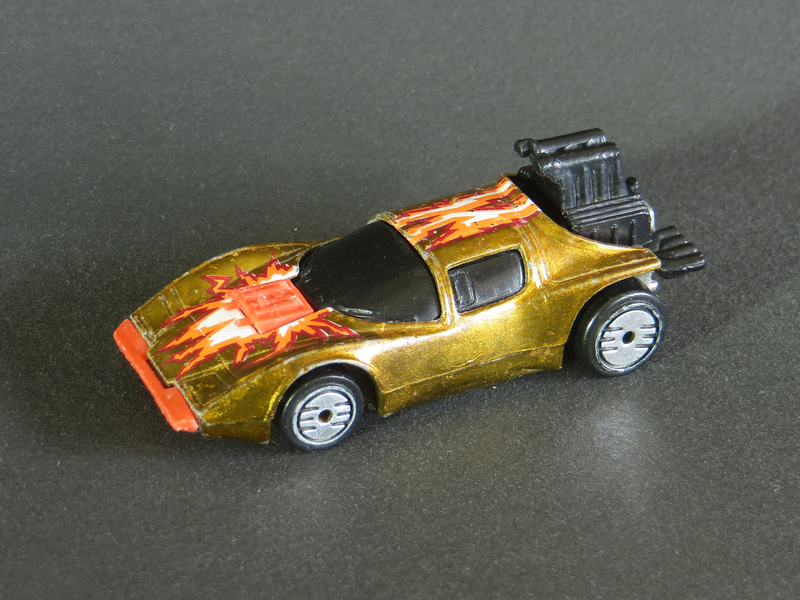 I also have a similar model from 1984 – the first of the exposed engine versions – with the same paint and tampo as this one, but with gold Hot Ones wheels. 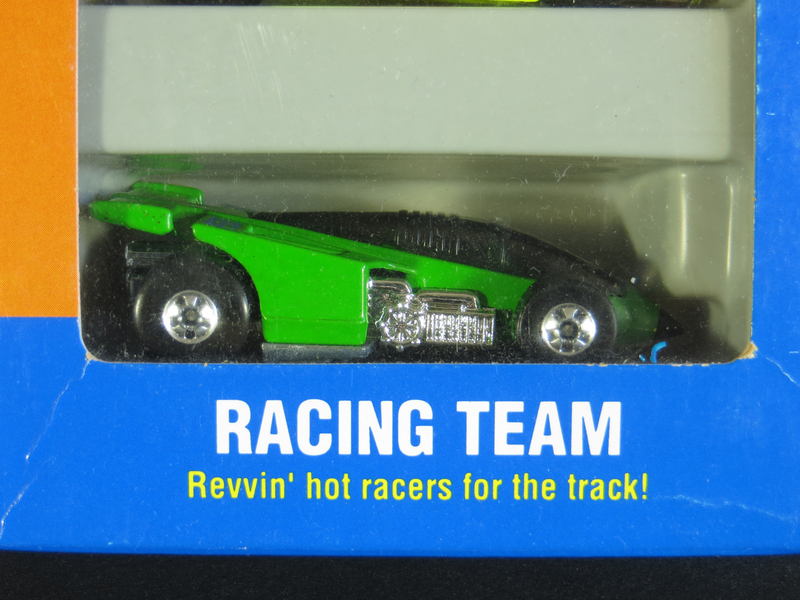 This Ultra Hot version could also be found in the 1991 mainlines. 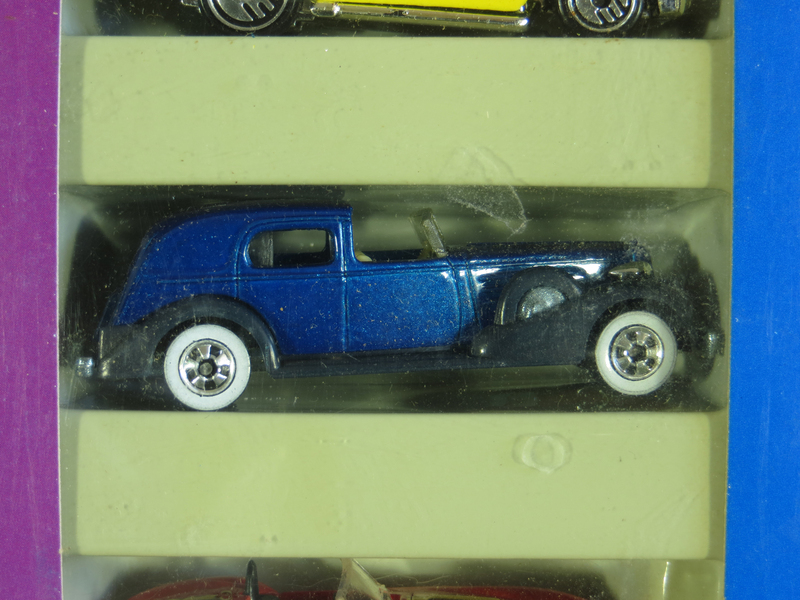 I already have the first casting of the ’35 Classic Caddy from 1982. 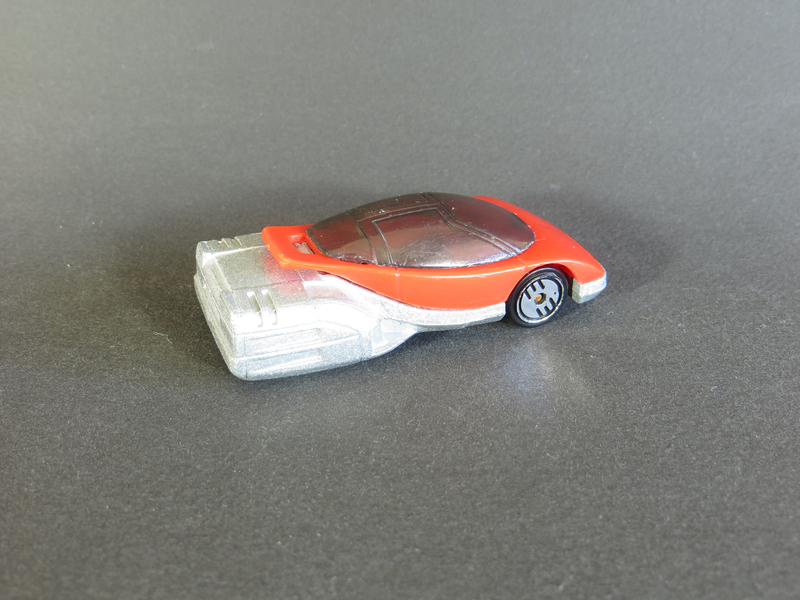 It has since appeared more than two dozen times up until 2012. 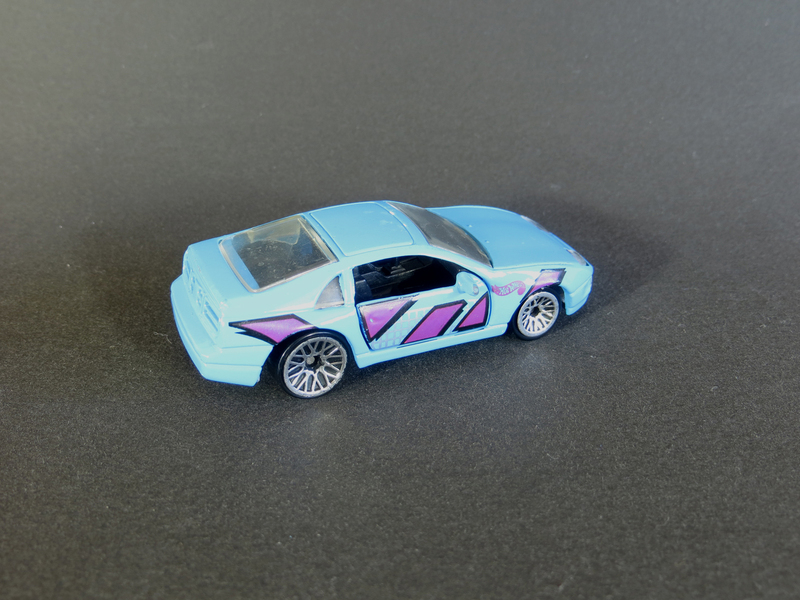 This metalflake dark blue and dark purple version with white walls was also found in the 1989 Mainline Classics series. 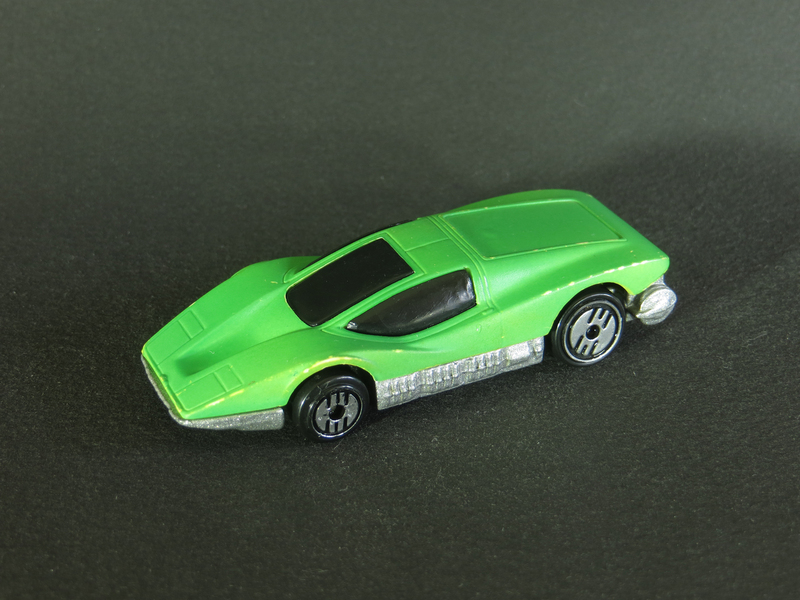 The Classic Cobra was first released in 1983. 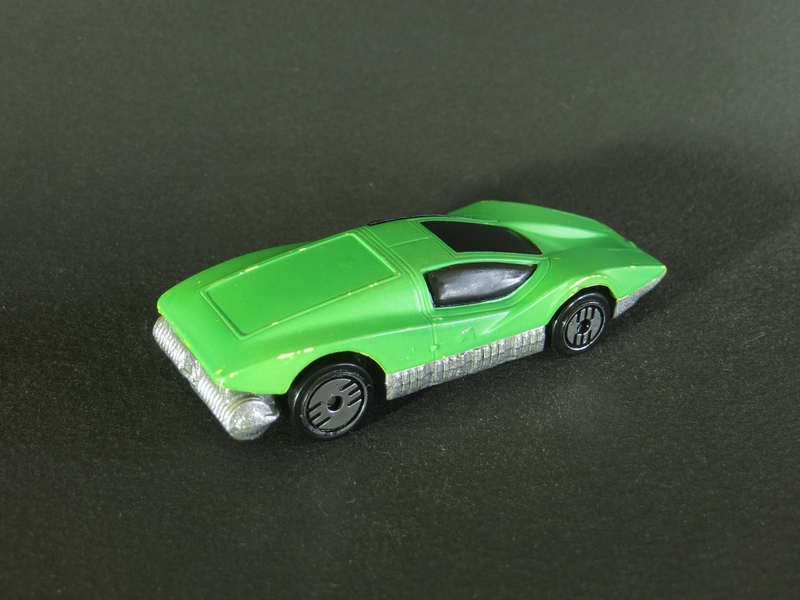 Here’s a link to my eBay Classic Cobra, which includes more information about the casting. 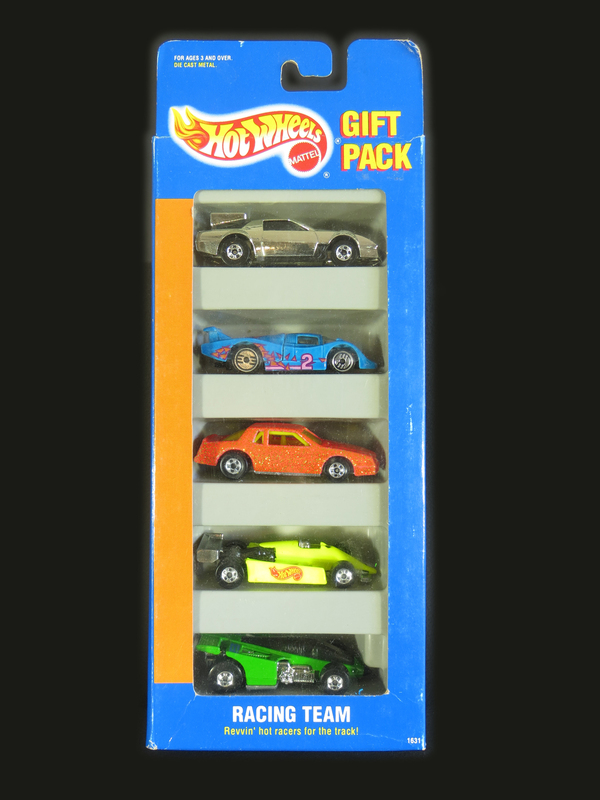 This Hot Wheels Racing Team gift pack from 1994 is the third of four multipacks that I picked up recently at the Wichita Community Market. 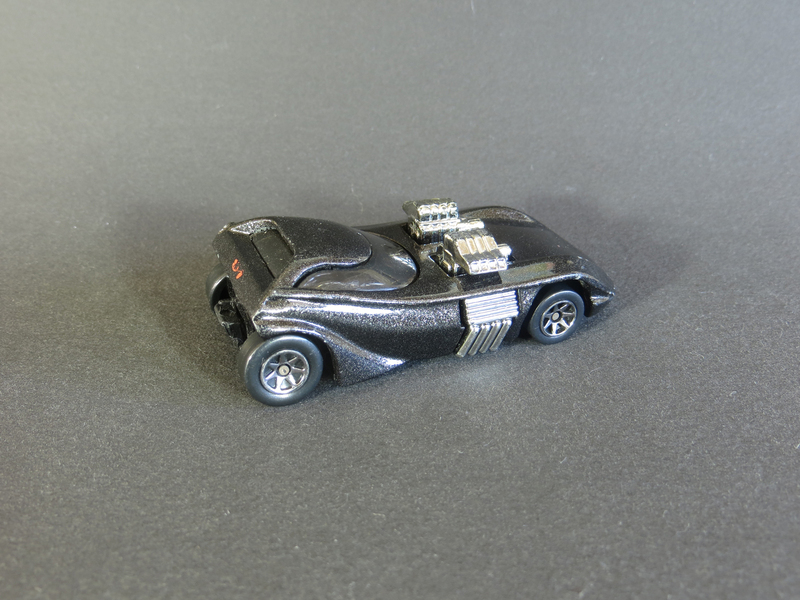 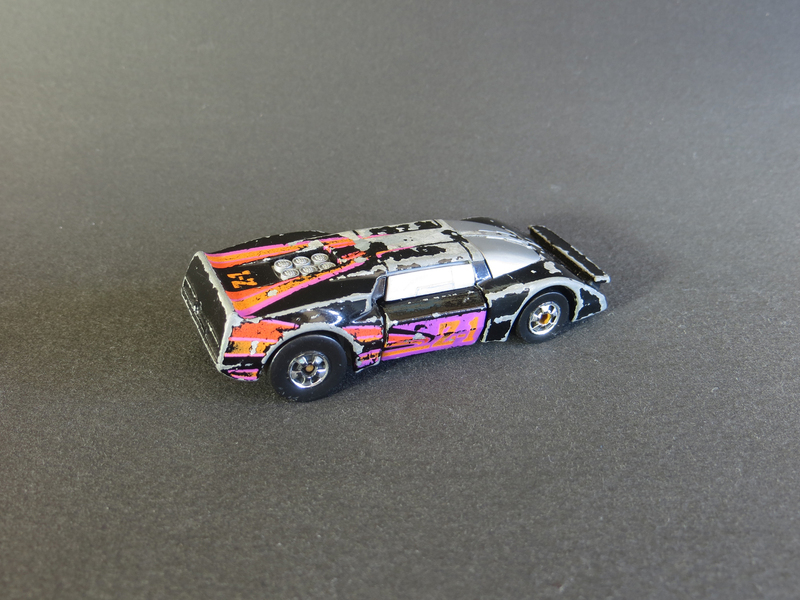 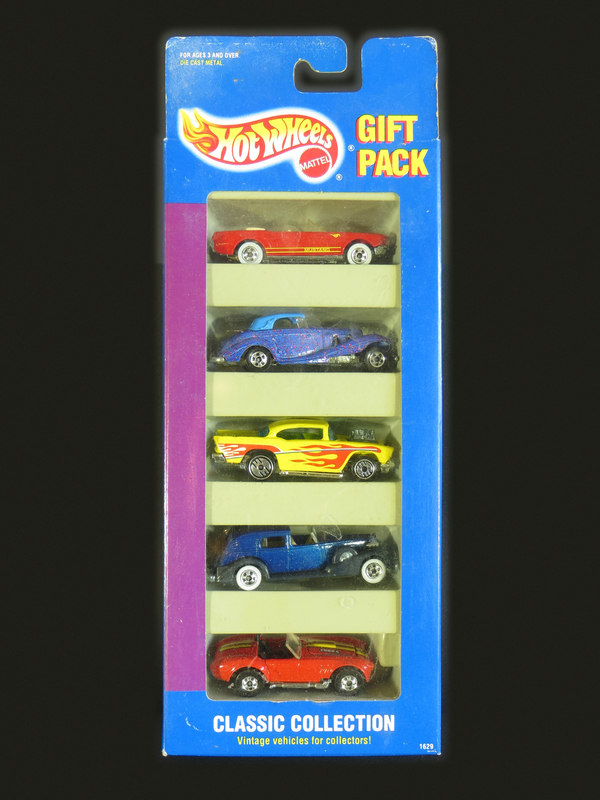 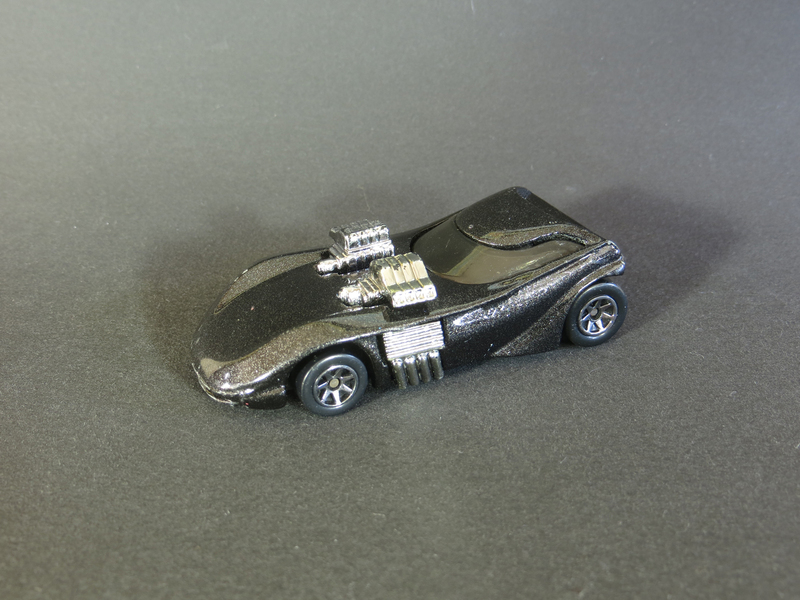 The Hot Wheels wiki shows a Release 1 and Release 2 of this five-pack, however, mine seems to be a different mix of the cars from both. 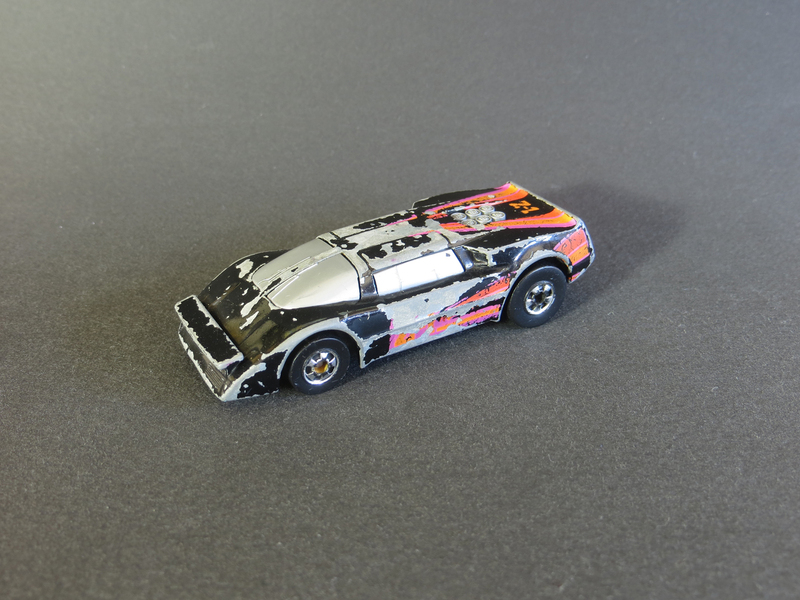 This 80s Camaro with a giant wing on the back began as Flipper Snapper for the 1985 Hot Wheels Flip Outs series. 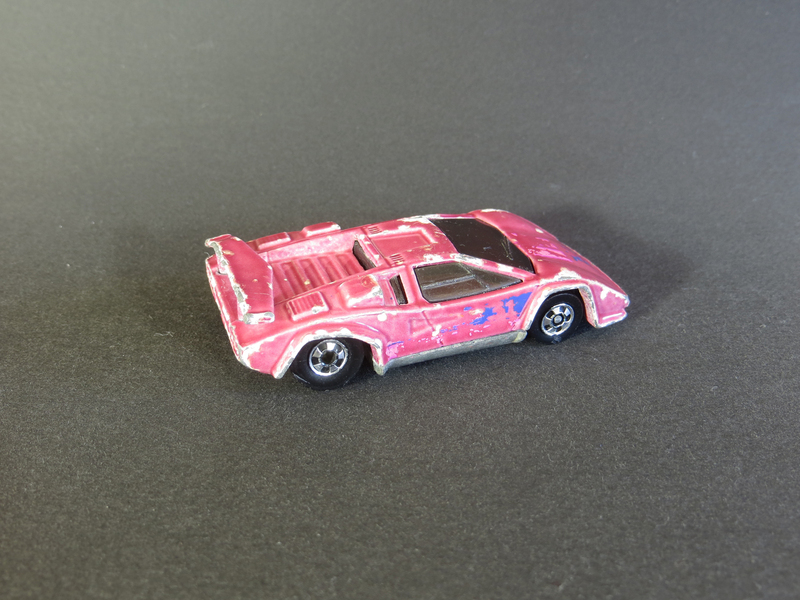 For the 1986 Flip Outs, it was renamed Road Flipper. 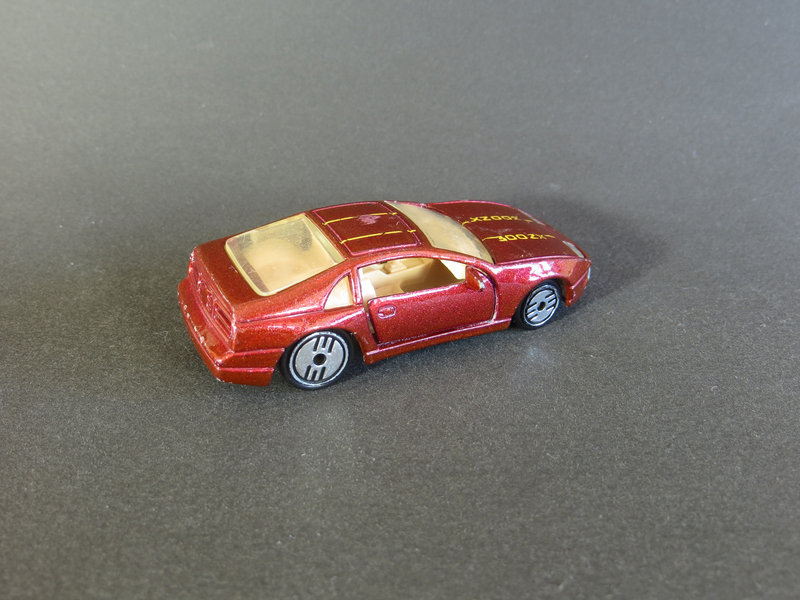 In 1990 it lost its flipability and briefly became Firebird before the name changed for the last time to Camaro Wind. 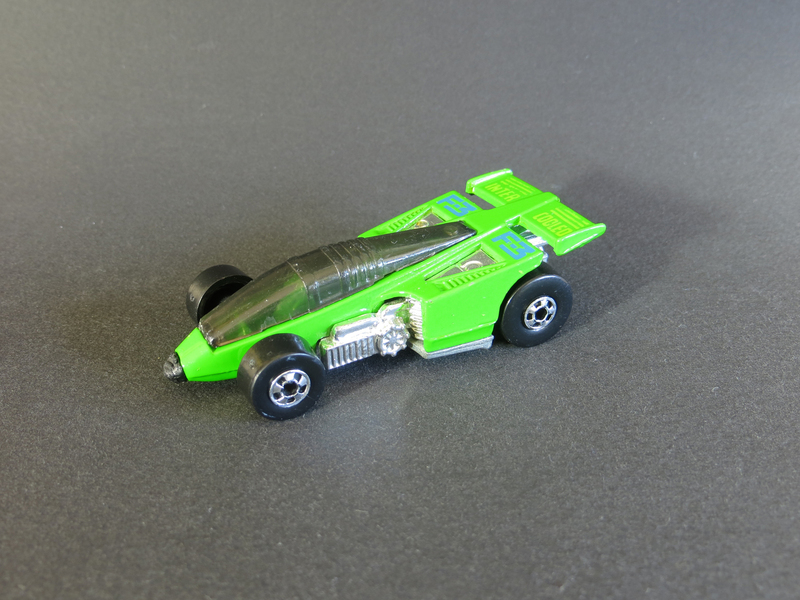 I have the original Flipper Snapper, but I haven’t photographed it yet. 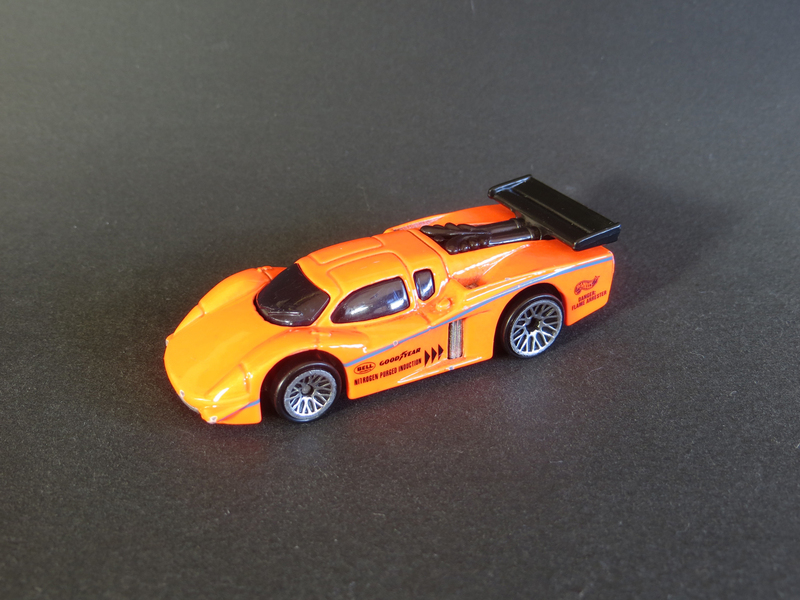 Sol-Aire CX-4 was designed by Larry Wood – an amalgam of various GT racers – and first released in the 1984 Ultra Hots series. 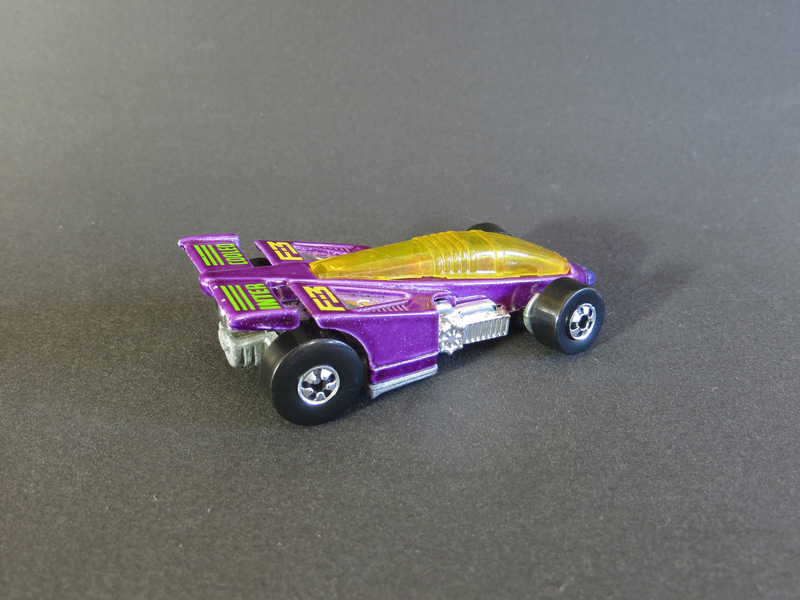 After about 9 variations, the model was retooled in 1989 to have an open wing and the retool has seen about 3 dozen more versions. 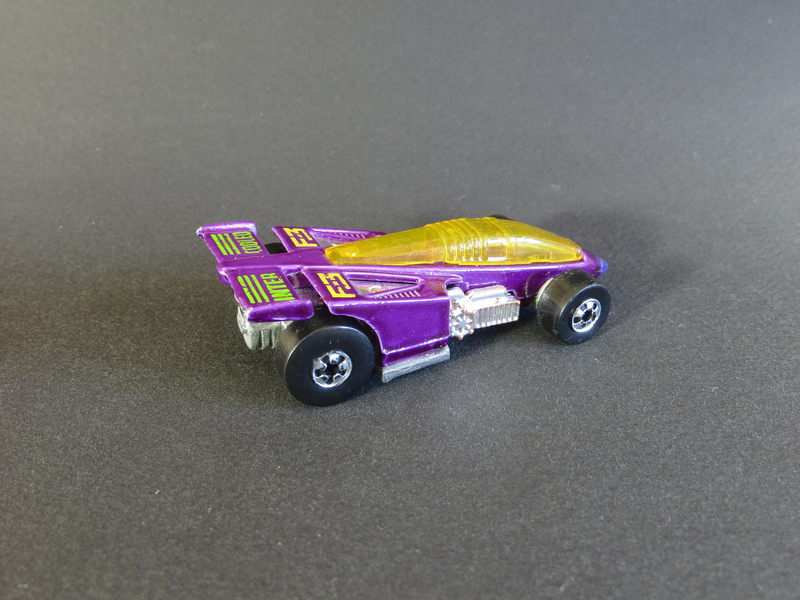 This colorful variation matches one of three from the 1992 mainlines. 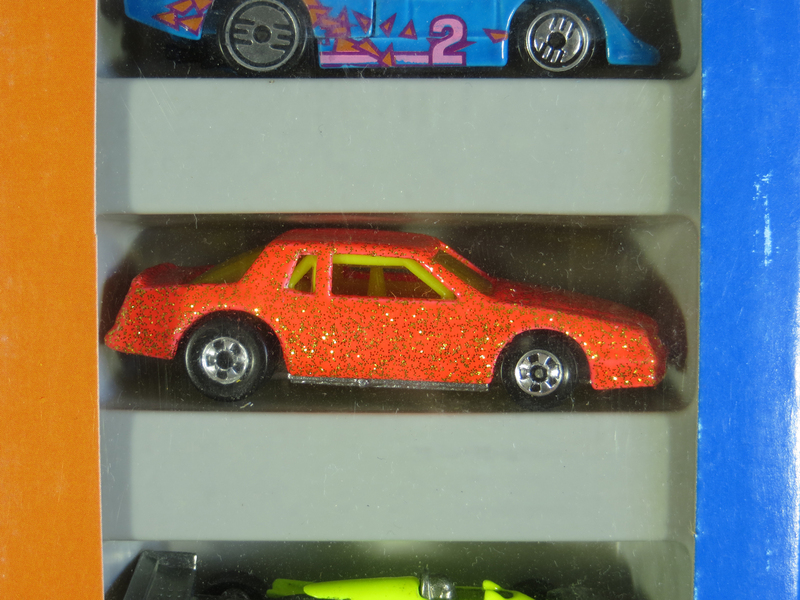 Speaking of colorful, the glitter paint on this Chevy Stocker might be one of the more obnoxious paint schemes I’ve seen on a Hot Wheel. 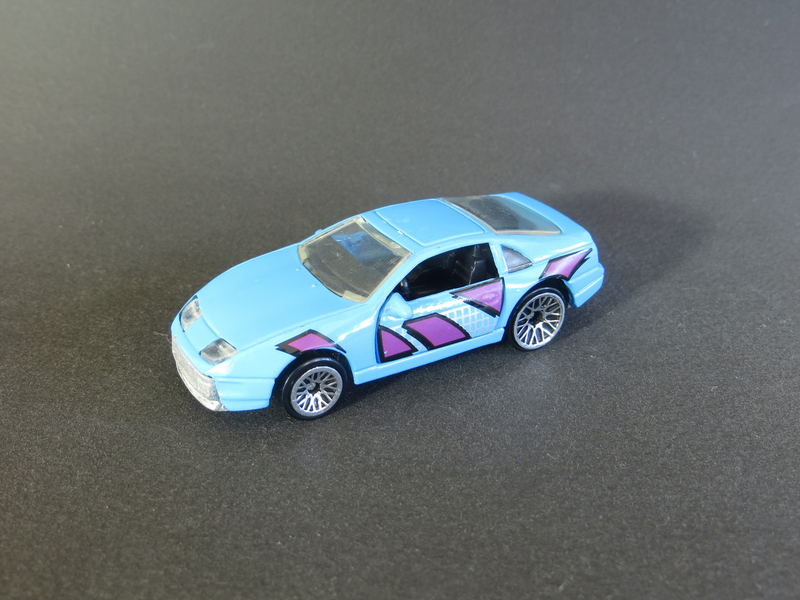 Another Larry Wood design first released in 1989, the Chevy Stocker is based on the 1986 Monte Carlo Aerocoupe and has about 30 variations up until 2010. 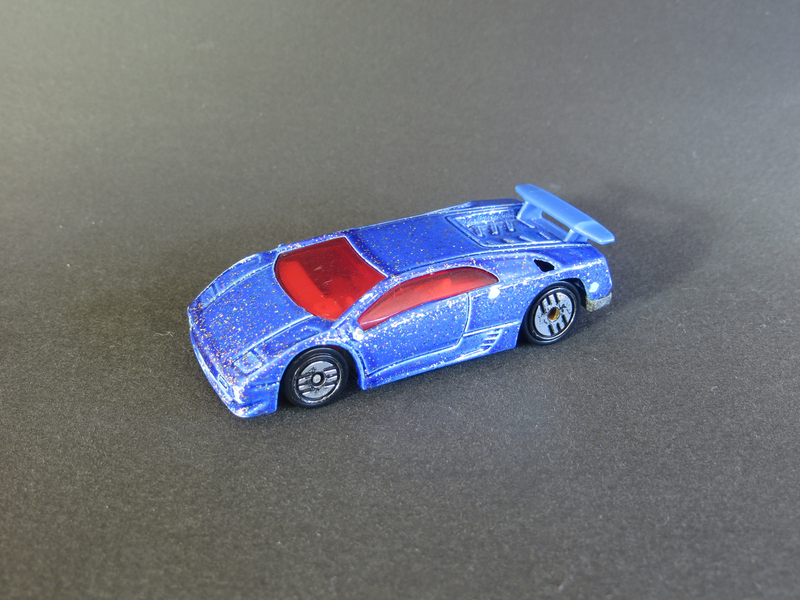 This sparkly model matches one of two variations from the 1992 mainlines. 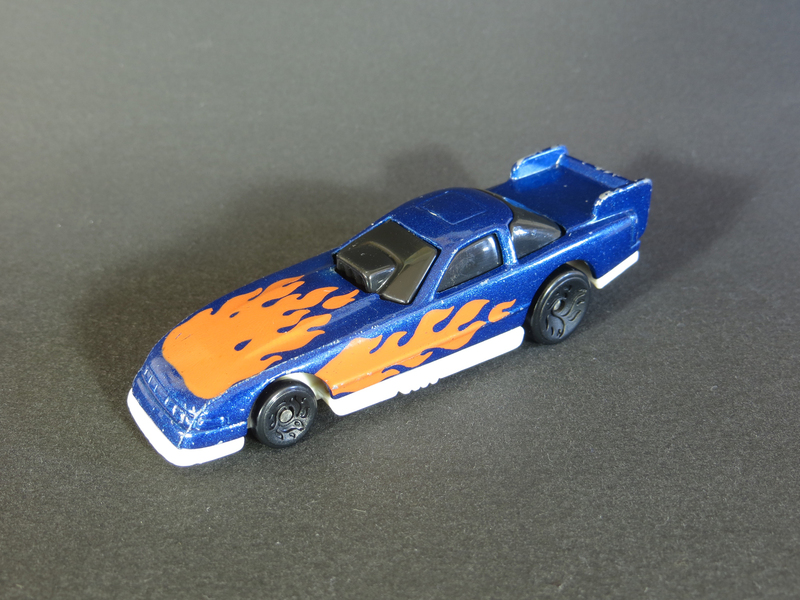 Turbo Streak debuted in 1983 and has seen about 30 variation up to 1997. 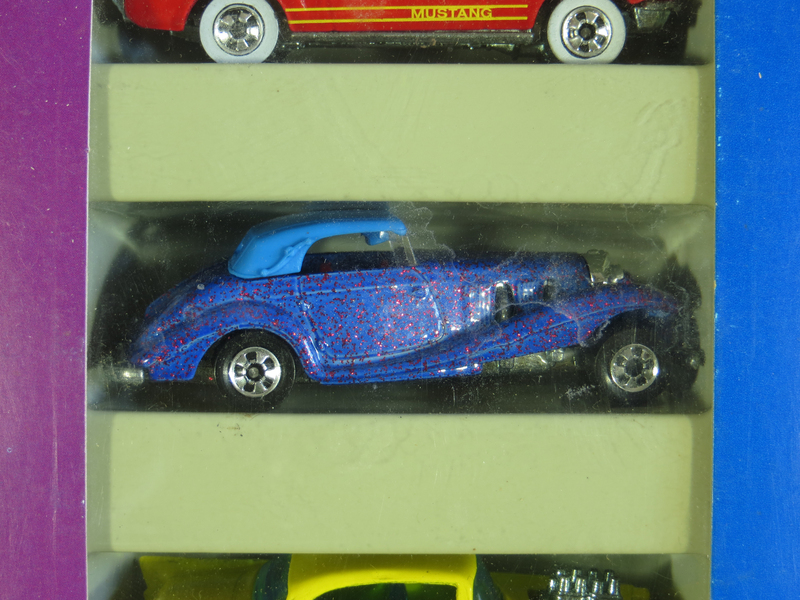 I have one of several variations from that first year. 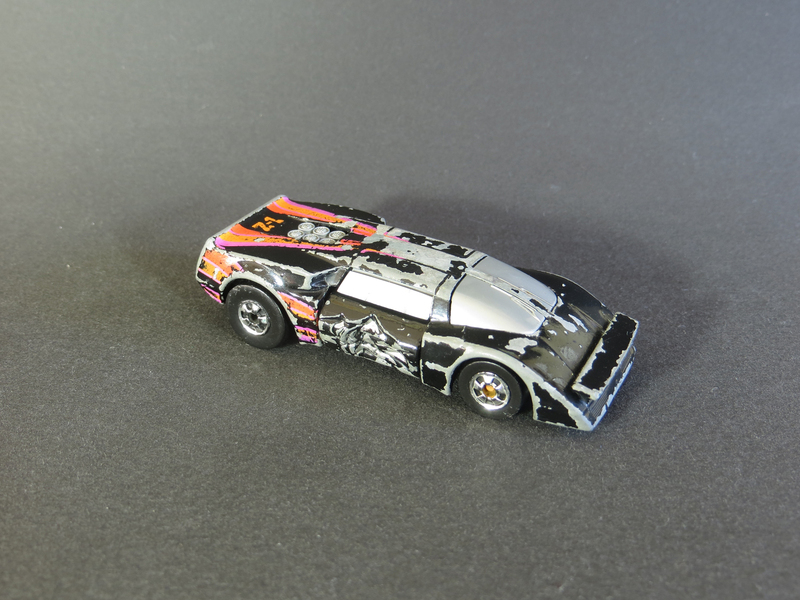 Shadow Jet was first cast in 1988 and has come out in about 20 different variations up until 2008. 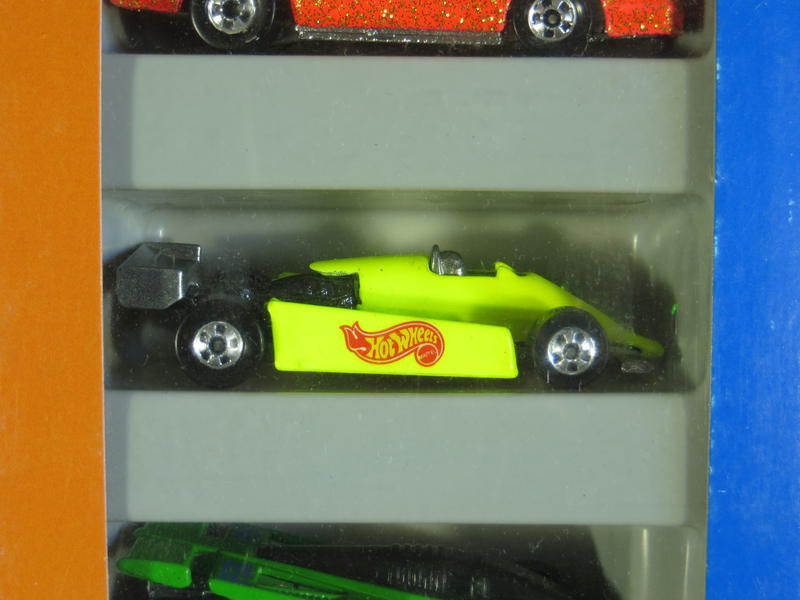 I have the yellow version from 1988 (which I haven’t yet photographed) as well as a purple variation from 1991 and another green version from the Case of the Sad Dad. 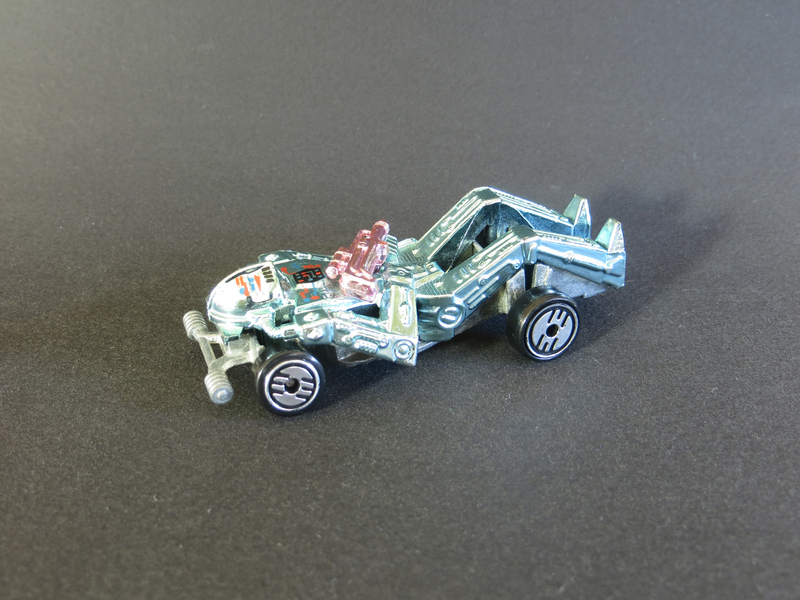 The Hot Wheels Flame Runner began its life as the futuristic Police Car, Science Friction, in 1978. 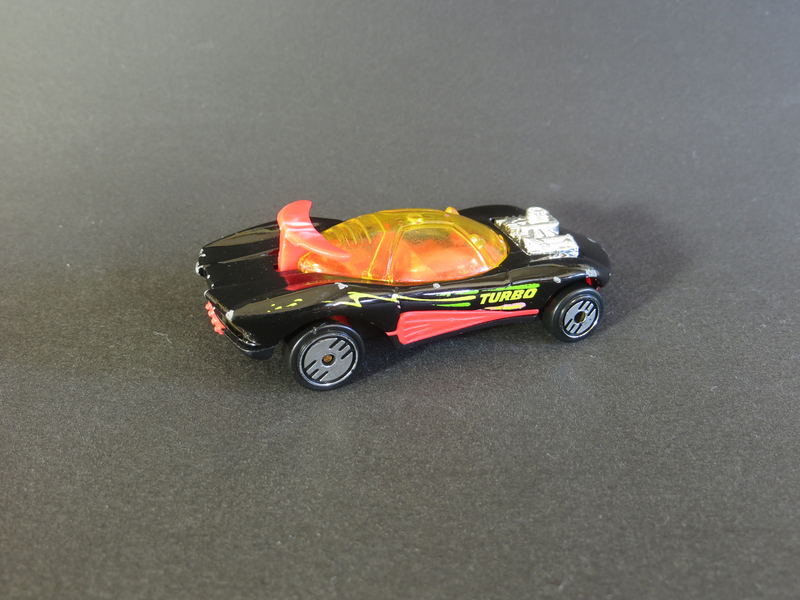 For Flame Runner in 1984, the casting was lightly modified to remove the cherry on top and the plastic accessories were molded differently. 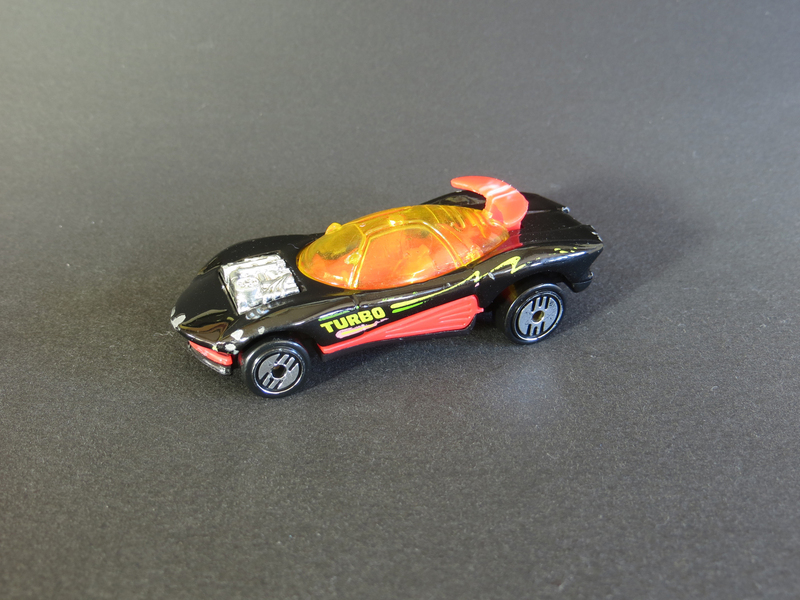 The model then became Back Burner in 1986 and changed again to Lightning Storm in 1993. 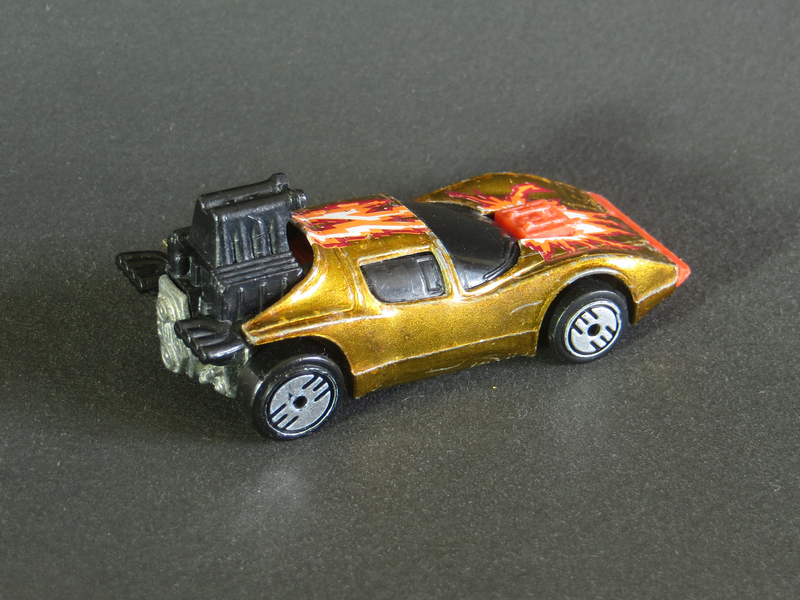 My Malaysian-made metallic gold version was the third wheel in my recent eBay Thunderstreak purchase. 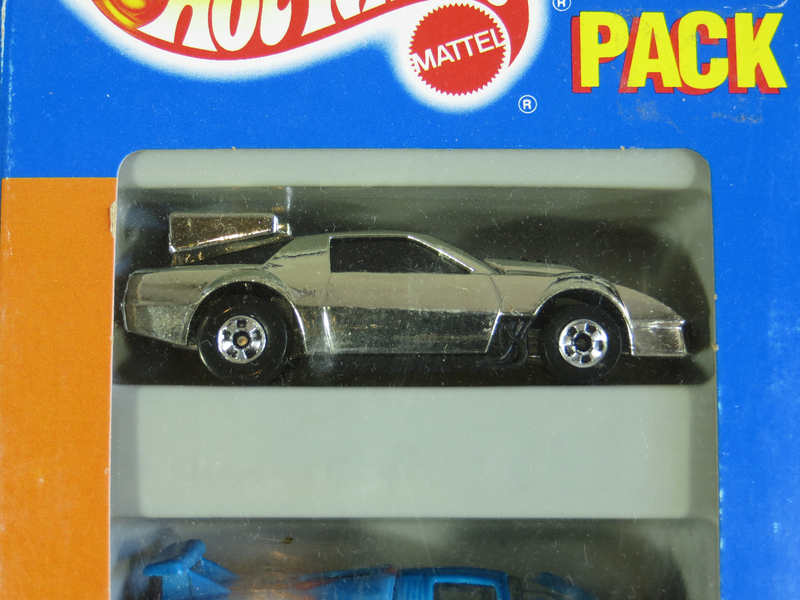 The gold 1984 model was also made in Hong Kong, and an unpainted version was released in 1985 in the Ultra Hots Stamper 3-pack. 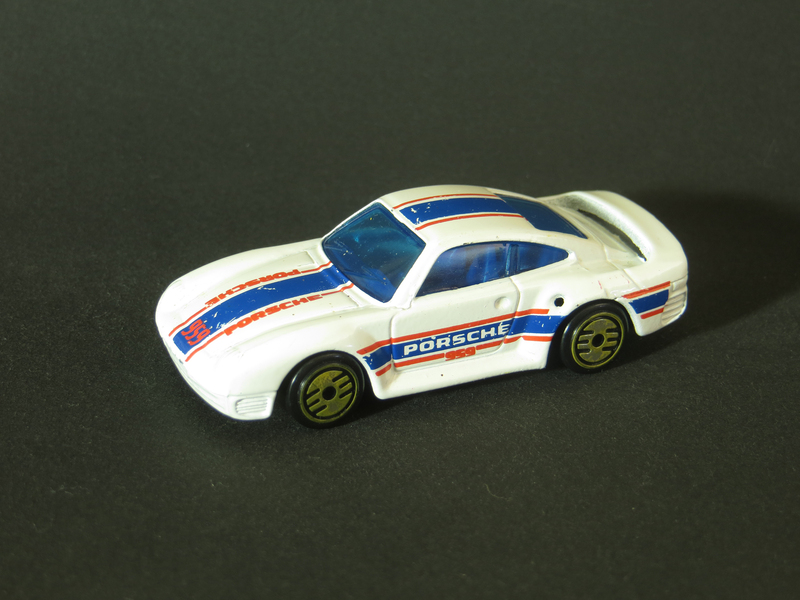 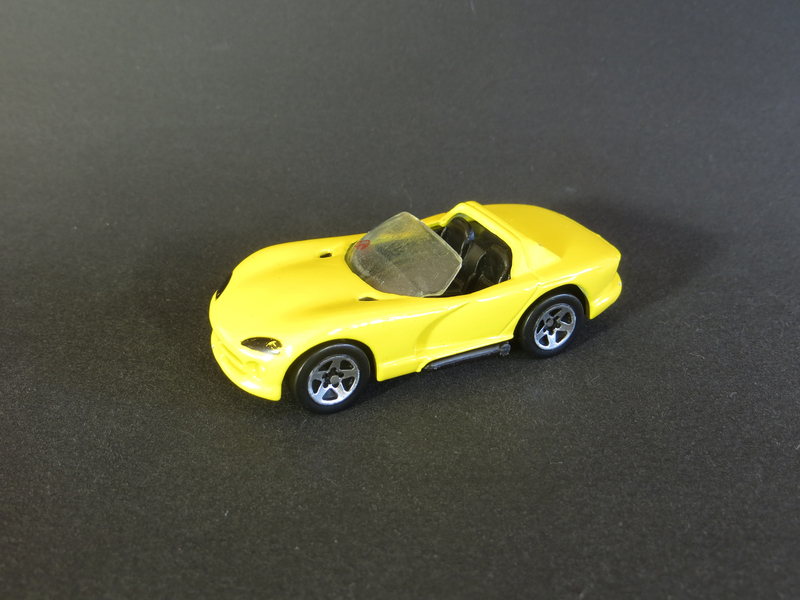 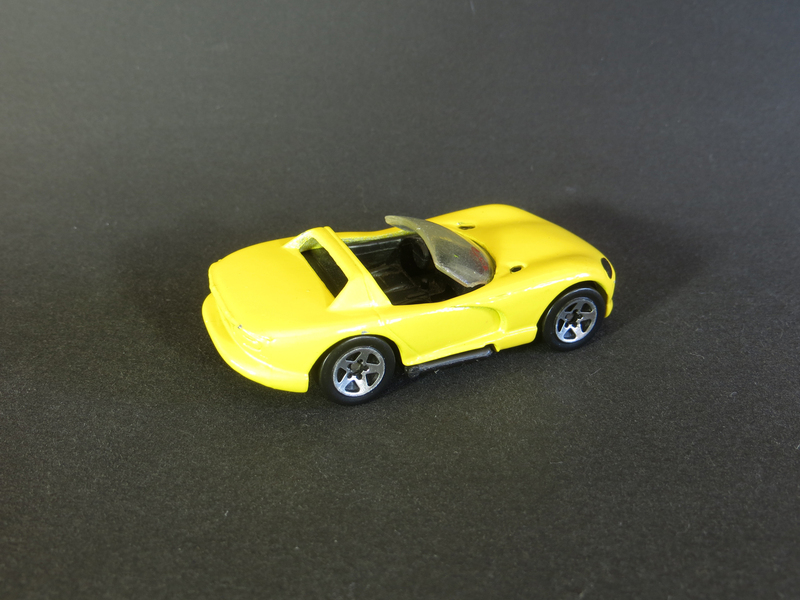 The Hot Wheels Porsche 959 was first released in 1988 and has about 40 variations up until 2015. 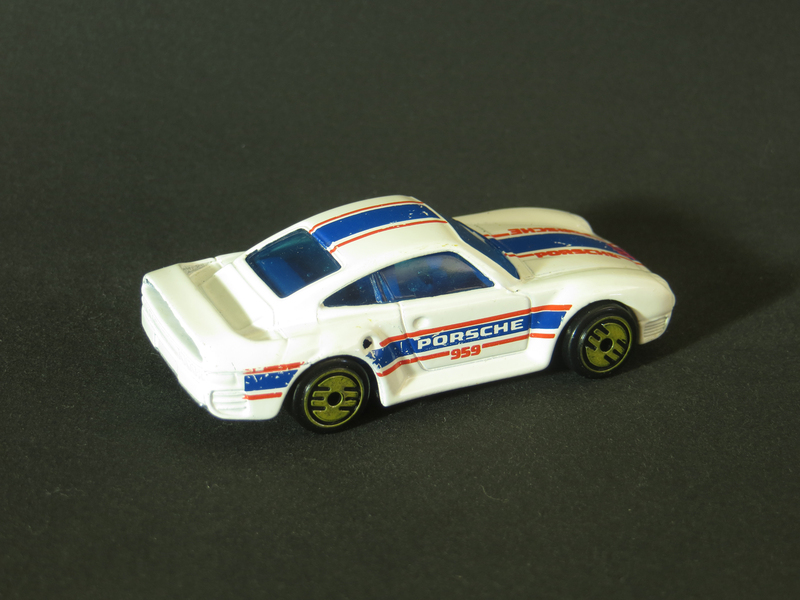 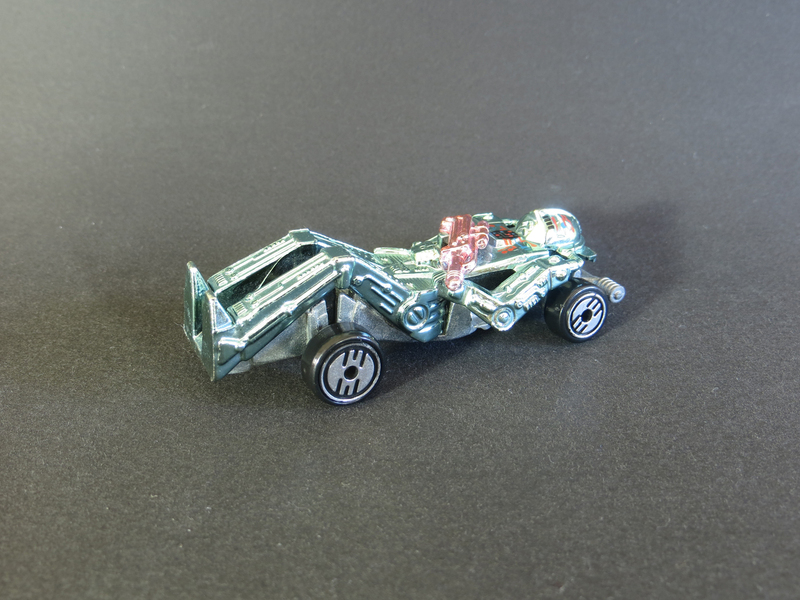 This white model with Ultra Hot wheels is from the Park N’ Plates series of 1989. 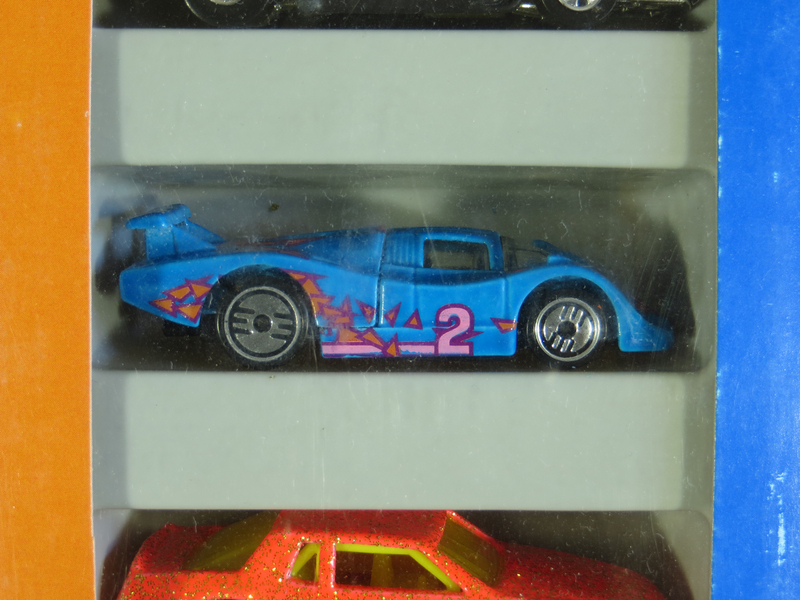 Interestingly, there are 7 different versions of the Park ‘N Plates release, all made in Malaysia, either with blackwalls or Ultra Hots and varying combinations of blue or clear glass and blue, black or tan interior. 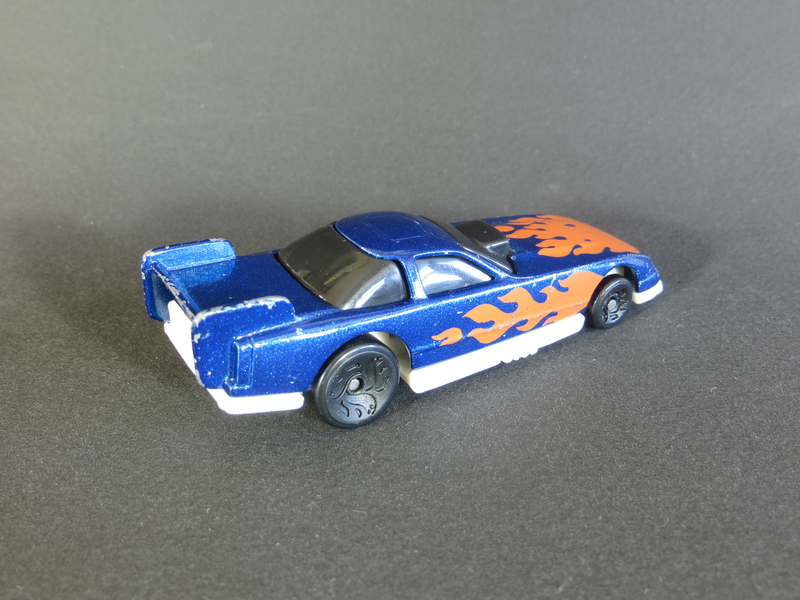 My recent eBay find has some wear to the paint and tampo but for some reason the chrome is almost completely worn off of the wheels. 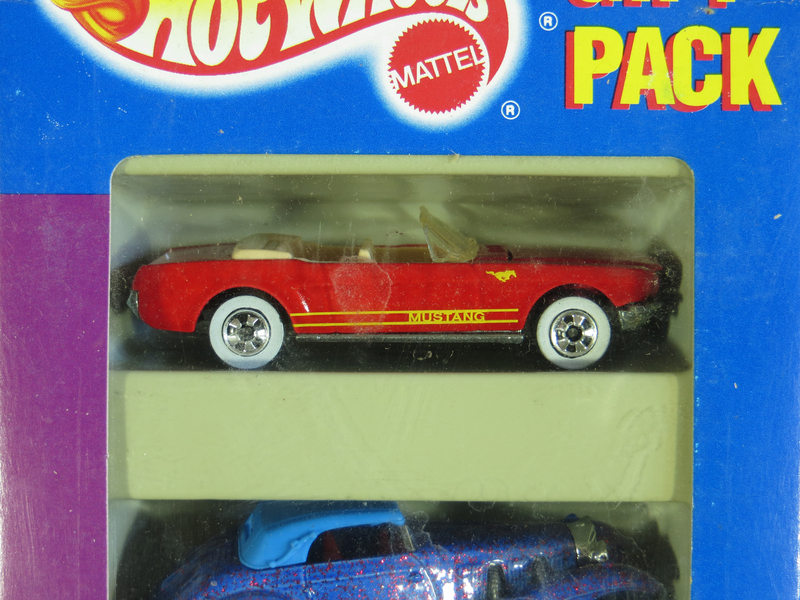 I scanned this image of a Park ‘N Plates package from my copy of the Tomart’s Price Guide to Hot Wheels. 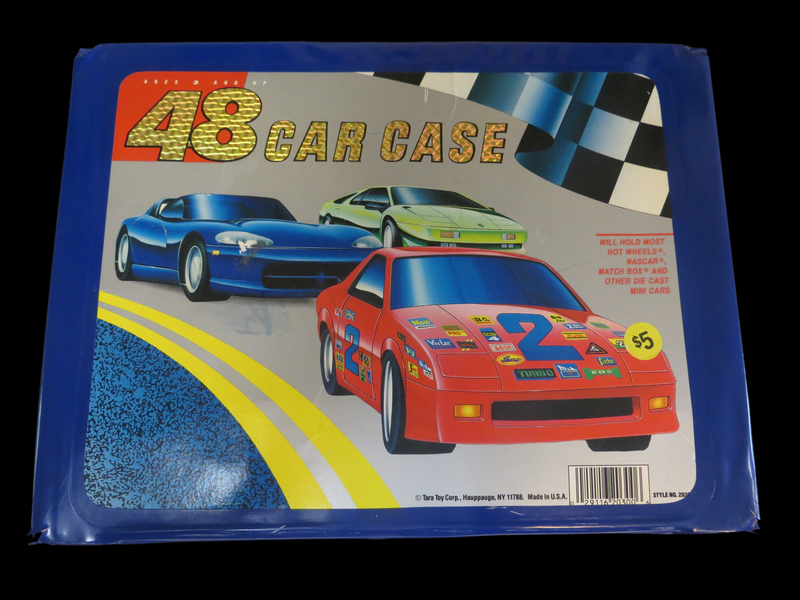 The series featured interlocking plastic storage containers with snap on license plates. 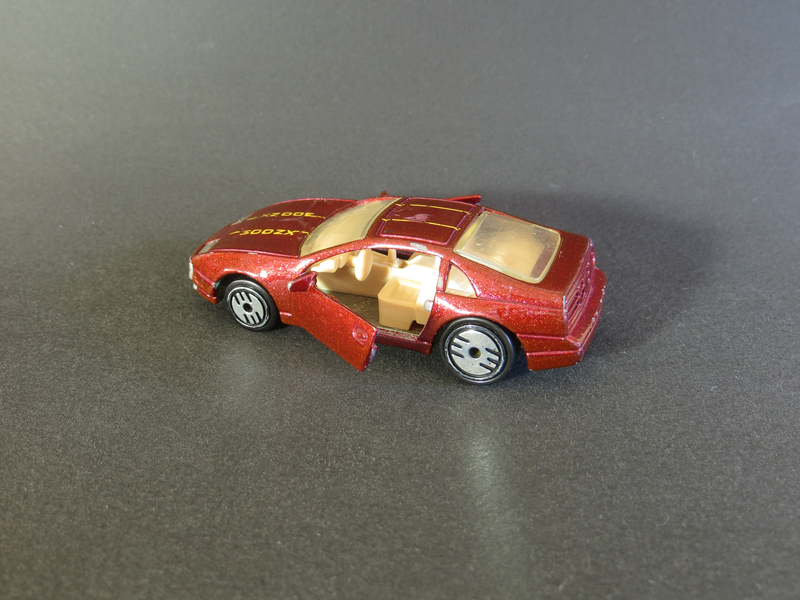 The ’89 series made use of 11 different castings, including the ’57 Chevy and Nissan 300ZX, some with different variations of each. 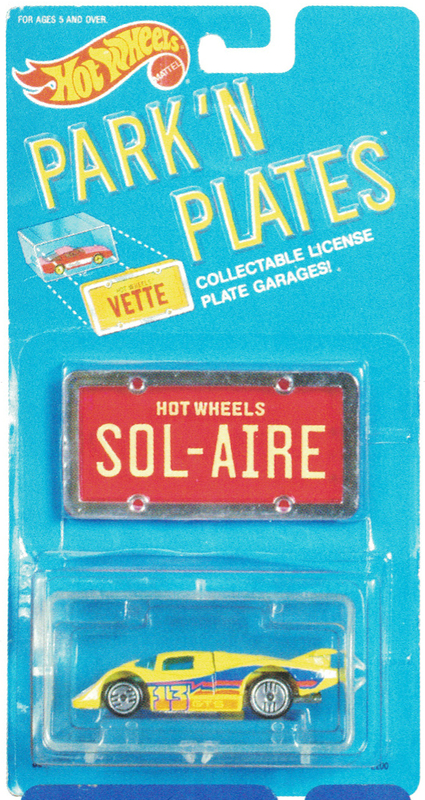 The Park ‘N Plates series continued in 1990 and 1991, and made a return for 1998, 2003 and 2004.